Chorrillos is a traditional fishermen’s district next to the shore of Lima. Every day, these strong and brave men sail in search of their daily fish, and when they come back with their little boats full, they sell part of the treasure in the market, and another part goes home. Their women are experts cooking seafood. Actually, most of them sell ceviche and several other dishes, prepared with professional skill. 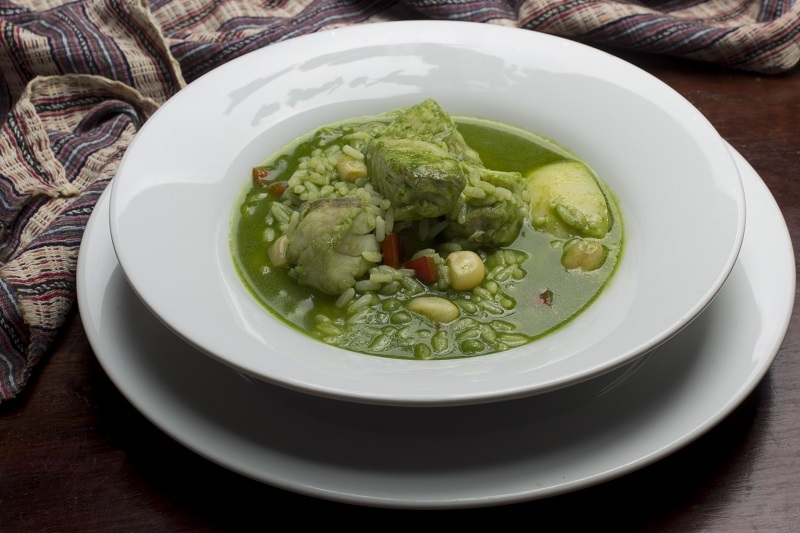 The recipe of fish a la chorrillana is light and tasty. You can have it ready on the table in a matter of minutes, and you are allowed to make as many changes to it as you wish. If you like fiery food, add more chili pepper. Alternatively, leave out the chilis completely if you have a sensitive palate. As a side dish, fluffy white rice is the standard, but you can add corn or vegetables to the rice… Maybe some fried sweet potatoes or yucca too. 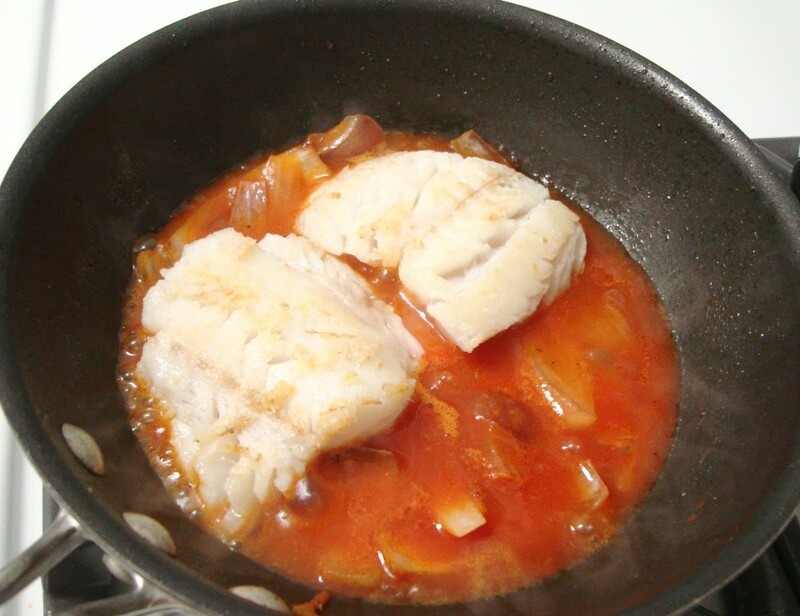 Sometimes I steam the fish in the sauce instead of frying it, and this way its ready faster. Either way, it’s mouthwatering. 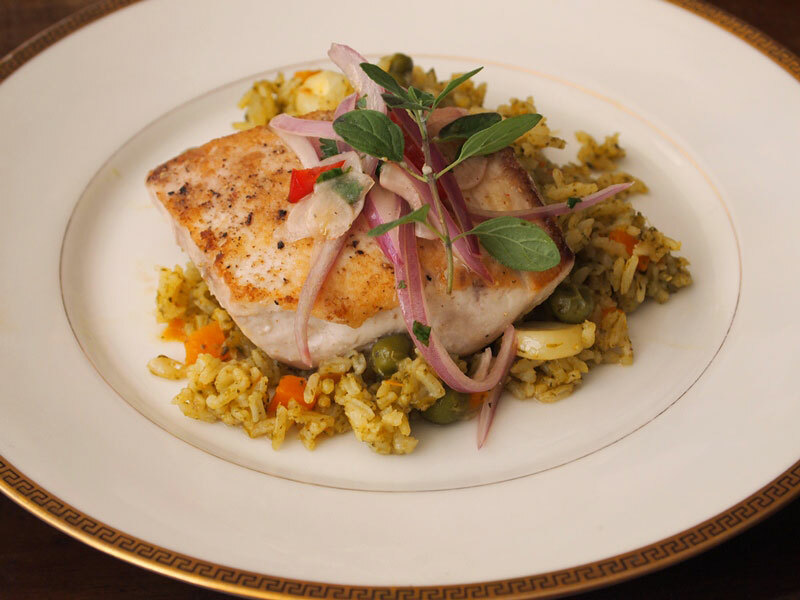 If you can´t find sea bass, any white meat fish will do. *Put the oil in a cold saucepan, add garlic, ají amarillo paste or slices, dried oregano, salt, pepper, and turn on the heat to the highest setting. 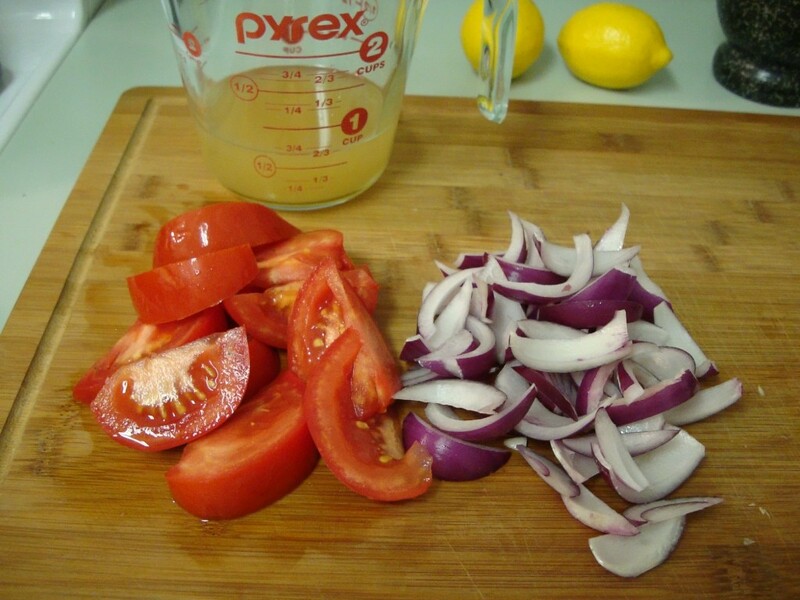 Add chopped tomato and onion, stir, and add vinegar and stock. Sauté for 15 seconds. *Add sliced tomato and sauté very quickly. 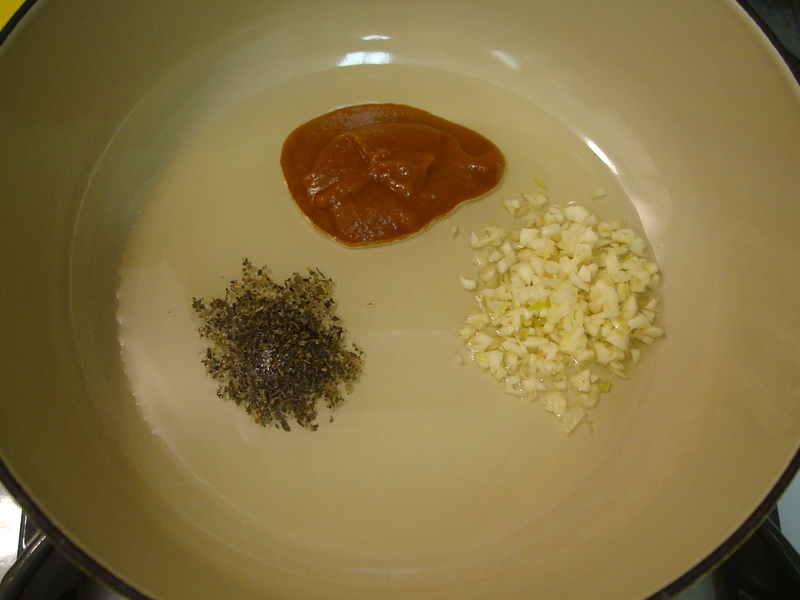 The sauce should be ready in about 45 seconds if your stove has good heat. *Meanwhile, season the fish with salt and pepper, and pan fry in a little oil over high heat. Do not overcook the fish. 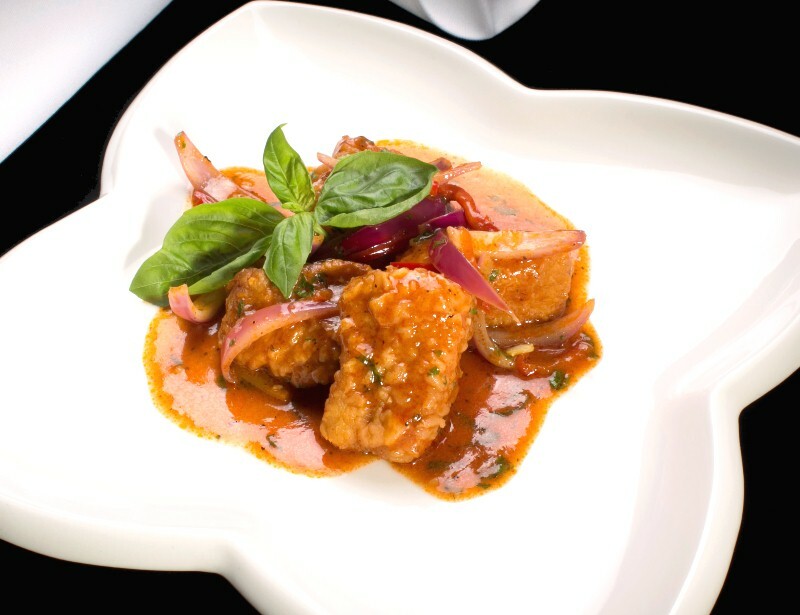 *In a dish put half of the sauce, a fish fillet, cover with cooked onion and sliced tomato, a sprig of coriander. Serve with white rice.